Attention to reducing the major risk factors Contemporary coronary care involves a associated with the development of arterio- multitude of measures: efforts to prevent the sclerosis has been widespread and appears to acute event; thrombolytic therapy to abort have lowered the incidence of coronary artery infarction; pharmacological measures to delay disease. Nevertheless, acute myocardial and reduce ischemic cell death; monitoring of infarction and related ischemic syndromes the hemodynamic consequences of myocardial represent the most common causes of death as infarction; treatment of acute pump failure; use well as one of the principal reasons for of modern electrical devices as well as a large hospitalization in the industrialized world. In number of new drugs to prevent and treat light of this, care of the patient with acute cardiac arrhythmias; and finally, identification coronary disease remains a major medical prior to hospital discharge of patients who are at challenge. high risk for recurrent infarction or sudden The approach to managing patients with death and the choice of the appropriate acute myocardial infarction can be said to have management approach. evolved through three major phases. 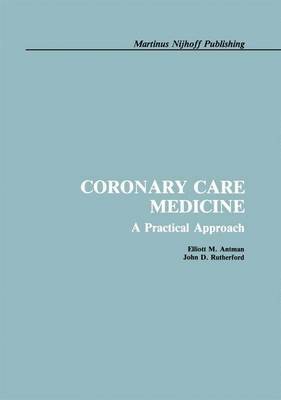 For the This fine book provides comprehensive first half-century after Herrick's landmark descriptions of these various aspects of paper describing this condition was published in contemporary coronary care. It is accurate, 1912, management consisted primarily of thorough, and easily readable.